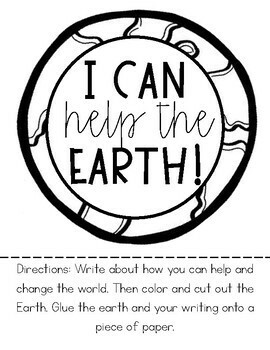 Teaching your student's about Earth Day is so important! 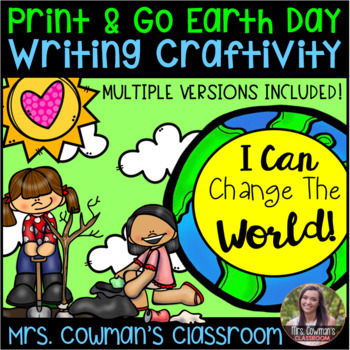 This Earth Day pack is a great way to introduce the importance of Earth Day (and taking care of our planet) to your little ones, and will give you a fabulous bulletin board display as well! 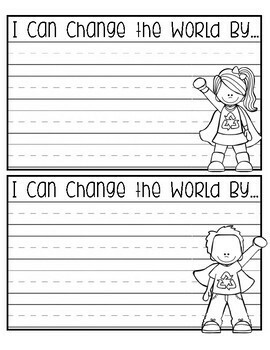 "I Can Change the World"
"I Can Help the Earth"
"I Can Change the World By..."
"I Can Help the Earth By..."
This activity is very low prep and looks great displayed! Check out my preview to see exactly what you will get if you purchase this product! You may also be interested in these other products. Non-Fiction/ Informational Reading Comprehension Passages BUNDLE!!! 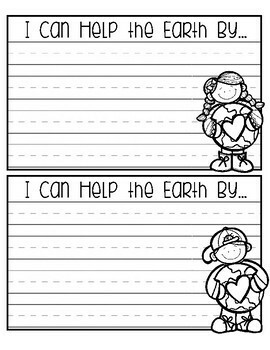 Year Long Holiday ABC Order Cut & Paste Worksheets- No Prep Printables! Thanks for stopping by my store! Looking for more from me? Let's Connect! Be the first to know about new products and freebies! Just click the green “Follow Me” star under my store name on this page. Please leave feedback if you purchase this product!